The McBride School of Irish Dance offers classes for beginners through championship. Boys and girls are welcome ages 5 years and up. Classes for Brand New Dancers in Tracy will resume in the Fall . Interested? Email us using the form below with questions and to be put on our list for notification when the class will be open for registration through the Tracy Arts and Recreation. Our professional and dedicated teaching staff are very excited to be bringing Traditional Irish Step dance to Tracy and the San Joaquin (Central) Valley! 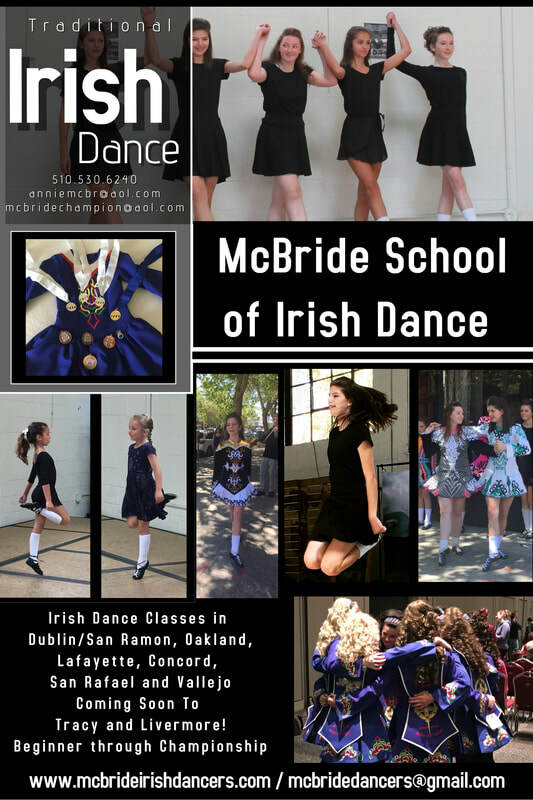 All Dancers attending classes through the Grand Center for the Arts (City of Tracy Art and Recreation) are Members of the McBride School of Irish Dance and eligible for performances and competition.